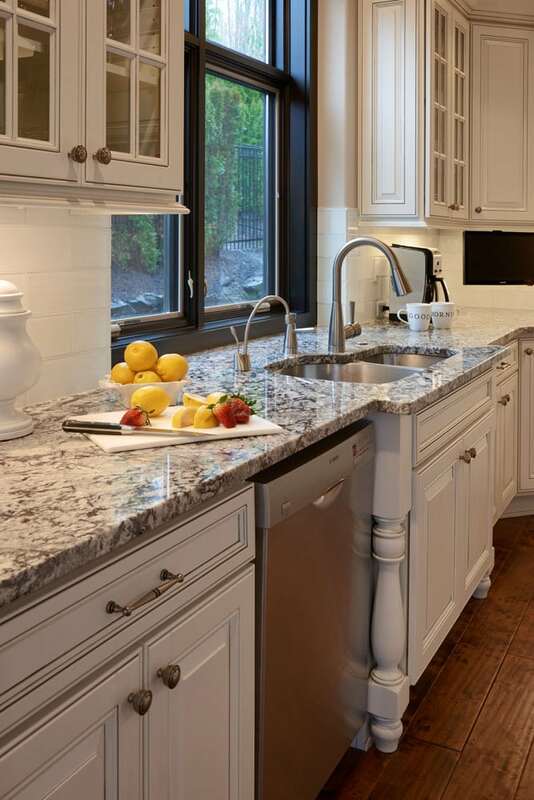 Browns were the before colors of this kitchen update. 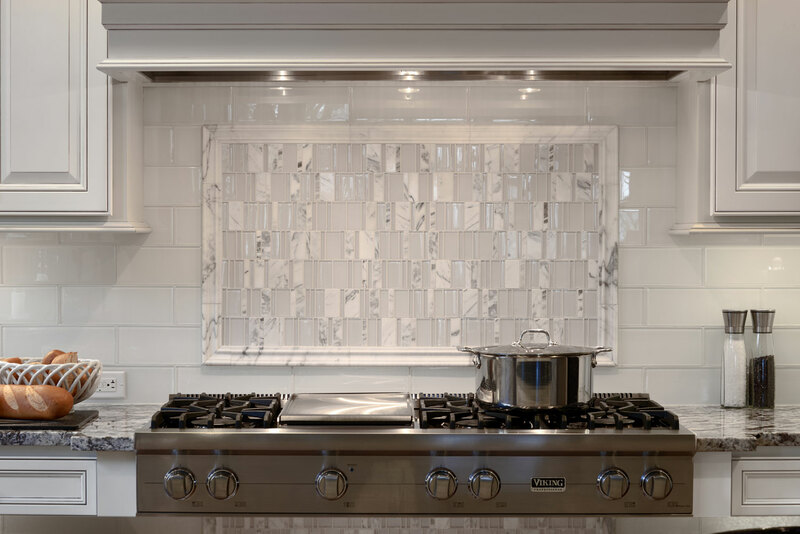 The clients love for warm whites and greys led us to select the stunning glass and marble backsplash tiles. 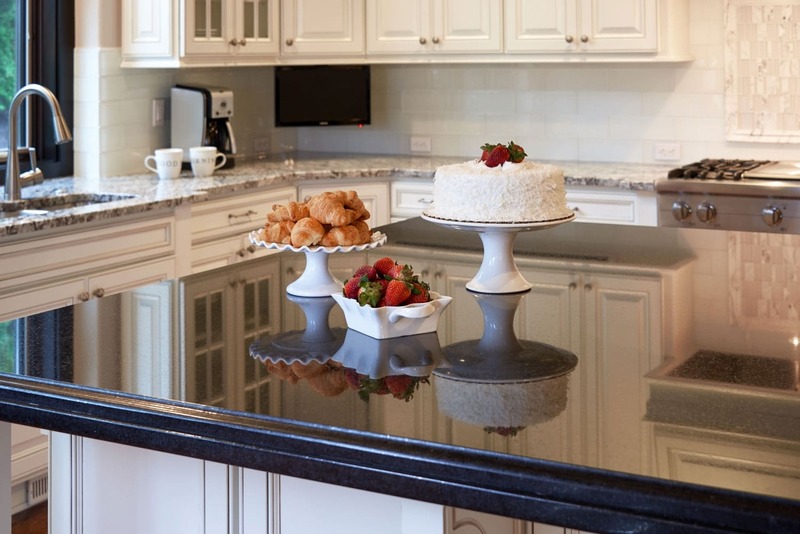 We created a rich palette with shimmers of silver and stunning black granite for a more modern touch to the traditional style of cabinets.